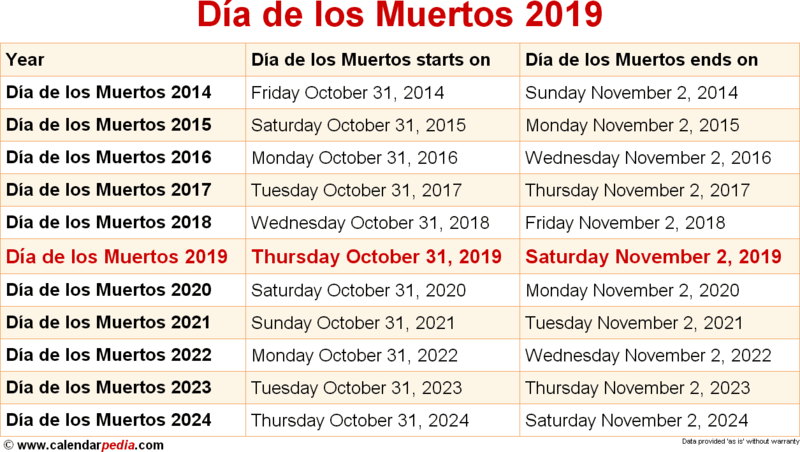 When is Día de los Muertos 2019 & 2020? When is Día de los Muertos 2019? Día de los Muertos is an originally Mexican multi-day festival known in English as Day of the Dead that is celebrated every year from October 31 to November 2 in commemoration of deceased friends and family members. The original Spanish name of the celebration is Día de Muertos (without "los"), but it is often back-translated from Day of the Dead as "Día de los Muertos" in English-speaking countries. 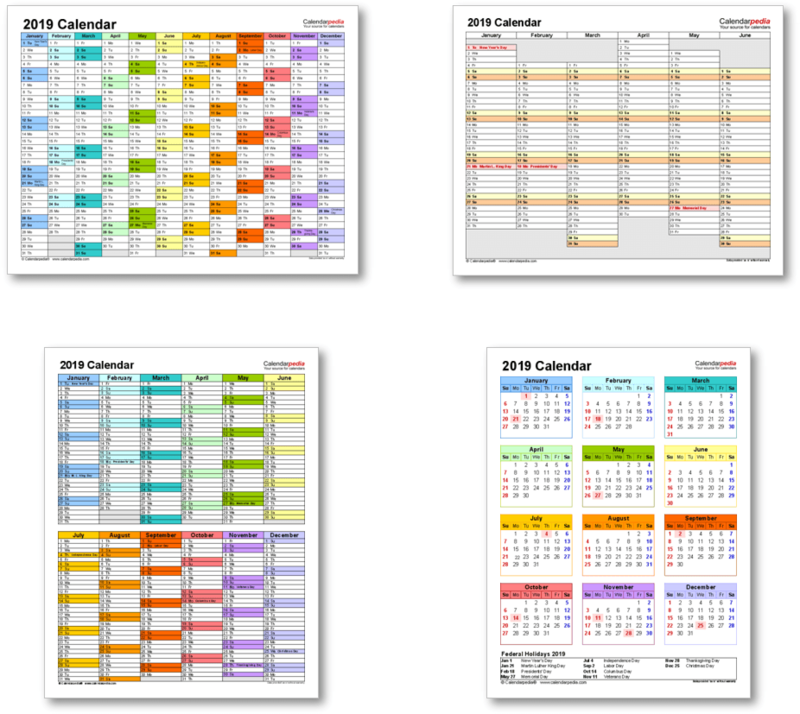 It coincides with the Christian celebrations of Halloween on October 31, All Saints' Day on November 1, All Souls' Day on November 2 and the ancient Celtic seasonal festival to mark the end of the harvest and to remember the dead known as Samhain that is celebrated from sunset on October 31 to sunset on November 1. 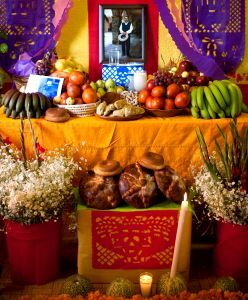 When is Día de los Muertos 2020? The next occurrence of Día de los Muertos is marked in red.